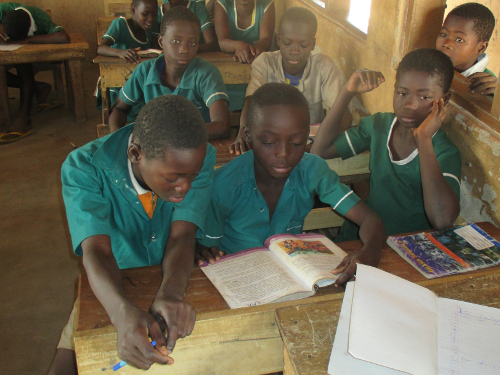 For all primary school children from Guabuliga, BRAVEAURORA provides learning sessions after school for 1,5h. Among other things, tuition in English, math, science and information and communication technology is offered. Those honorary teachers who receive a scholarship will provide compulsory tutoring during their apprenticeship. Each semester, the parents of the students are asked to contribute a small contribution in appreciation of the volunteer teachers. The amount is then doubled by BRAVEAURORA. BRAVEAURORA also supports the kindergarten in Guabuliga with a monthly, symbolic contribution to the commitment of the volunteer caregivers. The children’s card offers children between the age of 3 and 6 the opportunity to engage in meaningful ways and to prepare themselves for everyday school life, meanwhile parents can fulfil their professional obligations.